There are several ways to ingest cannabis. One of the most popular is, of course, smoking flower or concentrate. But for many patients, inhaling isn’t the best option as they could be suffering from lung cancer, asthma, emphysema or simply trying to avoid lung irritation. For this reason, other ingestion methods like tinctures and edibles may make you feel more comfortable adding cannabis to your medical routine. While the edible market has seen huge growth over the past couple of years, product options remain limited. Many of the edibles currently on the market are rich, sugary foods like brownies, gummies, and cookies. But more and more health conscious patients and recreational users are looking for more beneficial infused foods to keep their pot ingestion guilt-free. Some brands like Pura Vida, Auntie Dolores, and Cleaning Healing are rising to the challenge of providing healthier cannabis food options like granola bars, pecans, and even infused pizza sauces. But these products can be hard to find and expensive if used as your main medicine. So, the most cost effective option would be to infuse your own foods and meals at home. 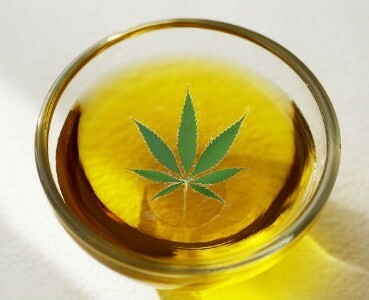 It seems like everyone has at least one teenage or college story about trying to make edibles using homemade cannabutter or canna oil. These stories often end with brownies that are either too heavily or too lightly medicated and a kitchen reeking of burnt weed. When it comes to product development, the innovative new cannabis world is pushing the envelope. There are now key tools that’ll help make your cannabis infusions more easily and quickly, plus they’ll all look great in your kitchen! Once you have infused your own oil or butter, you can use it to enhance healthy foods like sauteed vegetables, salad dressings, whole grain pastas and more. Let’s take a look at a few of these devices built to make infusing foods easier, more cost effective, and less messy. 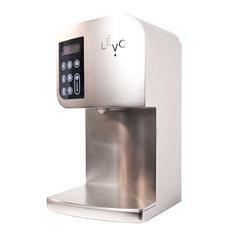 At first glance, LEVO’s oil infusion machine looks like any other slick, modern kitchen gadget. You could easily mistake it for a Keurig coffee machine or cool new espresso maker. With three different color options (silver, black and copper) and a sleek design, LEVO will blend perfectly into your kitchen. This machine makes it easier, and way less messy, to infuse any type of oil or butter. While you can infuse oils and butters with typical herbs like rosemary or thyme, you can just as easily use fresh cannabis flower instead. To use LEVO for infusing cannabis, simply turn on the machine, remove the pod and add the dried cannabis. Then place the pod back in the reservoir, add the oil or butter of your choice, and set a desired temperature and cooking time. For infusing oil, LEVO suggests cooking it for 2.5 hours between 160° and 175°F. The best part? All of LEVO’s components are dishwasher safe, making cleaning as easy as ever. The LEVO is the highest price point on this list, but also the most robust device. It’s a great option if you’re going to infuse your own oils and butters frequently, and the price tag is well worth the convenience. Similar to LEVO, the Magical Butter Machine allows you to easily make infused butters, oils, lotions and more, but it takes a few additional steps. The machine itself consists of an all-in-one large metal pot, immersion blender and a heating unit. Its stainless steel design will fit in with all of your modern kitchen appliances and look very comfortable on your kitchen counter. First you must decarboxylate the cannabis flower yourself using this machine. Use a high heat silicone container to make decarbing the cannabis easy to do in a conventional or toaster oven. 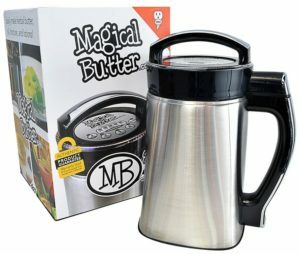 After decarbing your cannabis flower, you can add it to the Magical Butter Machine with melted butter, oil, or lotion; then, simply let the machine do the work. The immersion blender will make sure your decarbed flower is churned perfectly throughout your concoction, ensuring an even distribution throughout whatever medium you choose. The company suggests using 7 to 14 grams of decarboxylated cannabis flower, or other herb, per cup of oil, butter or lotion. After about 2 hours of cooking at 160°F, pour the contents through the purity strainer (included) and into a bowl. Check out their website (link above) for a full how-to video. The Mota Pot is an easy, no frills, low cost option for infusing butter with cannabis at home. 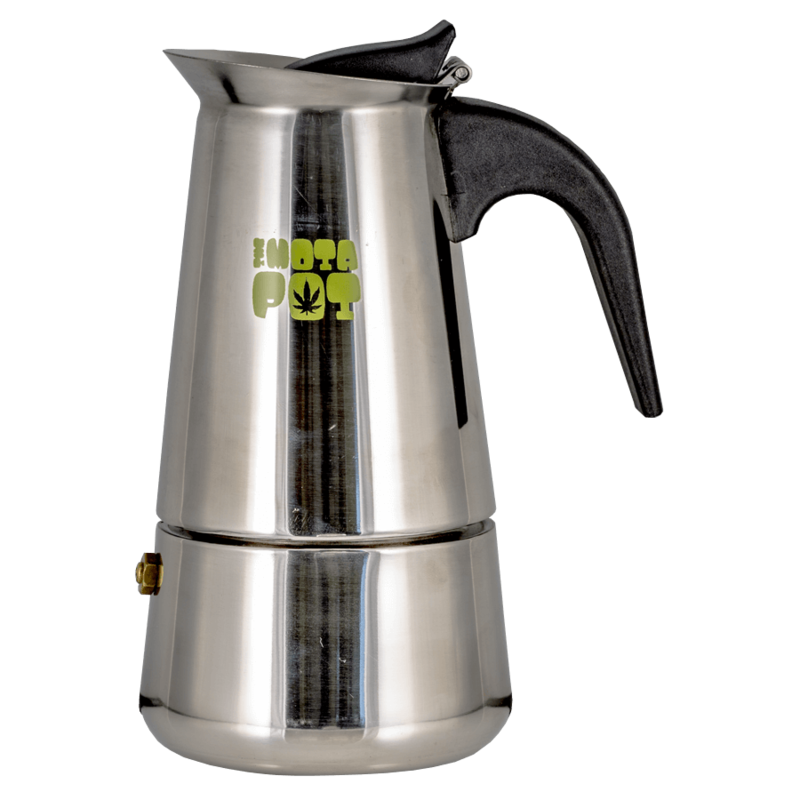 The Mota Pot looks like your average, stainless steel stovetop espresso maker, only with a twist! It has three parts: a base, a filter, and a kettle. After decarboxylating your cannabis, twist off the base and remove the filter. Stuff one stick of butter and a quarter cup of water in the base. Next, replace the filter and add 5 grams of decarbed cannabis flower on top of the filter. Screw the base back to the kettle. Place the kettle on top of a stove burner at medium to low heat until it begins to steam. When the kettle starts to steam, pour the now liquid THC butter into a bowl; it’ll separate from the water as it cools in the fridge, where it should be left for at least a couple hours. Once cooled, pour out the water off the top of the mixture and enjoy your homemade cannabis butter! The Mota Pot is the most affordable option on this list, making it a great option for those who are beginners with homemade cannabis infused foods and who aren’t sure how often they will make them. Plus, you can make your daily coffee with it. You’ll be saving a good chunk of change going with this more affordable alternative, so treat yourself to a $15 palm mincer. Palm Mincers are a much faster way of grinding the 5 to 7 grams of cannabis flower you will need to make your cannabutter. There you have it! Hopefully one of these distinct options will give you the freedom to experiment in the kitchen and create some delicious,effective and memorable meals.